Dealing with easements, right of ways, restrictive covenants, and other land use issues can be old hat for commercial developers in Long Island. However, residential property purchasers and first time real estate investors are often surprised by these permissions and restrictions. Many times, a buyer isn’t even aware of an easement until the property is under contact. Perhaps you are contemplating the purchase of property with a private or public easement. Alternatively, a neighbor or utility company might request an easement on property you already own. In either instance, or any other circumstances, here is what you need to know about easements in Long Island. Beginning with the basics. An easement is the right to cross or use another person’s property for a limited purpose. An easement is a legal right, but unlike the right to liberty or freedom, it doesn’t exist naturally. The property owner must grant an easement to the individual or entity needing to use or cross the real property. That being said, easements come in many forms and specifications. When you grant an easement to another individual or entity, they have the legal right to use the property for a specific purpose, but you retain legal ownership to the property. Therefore the holder of an easement cannot possess the property or even exclude others from using the property. Those rights remain with the property owner. However, a property owner cannot interfere with the easement holder’s use. 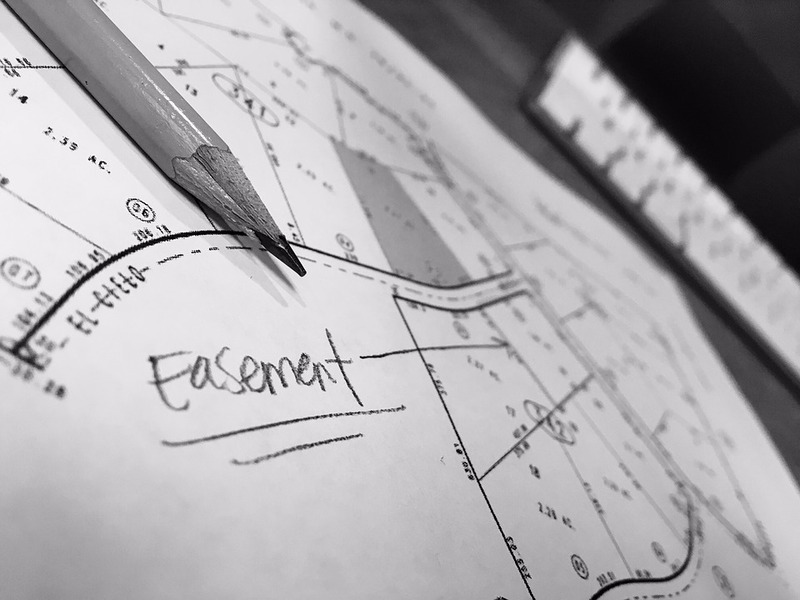 The most common easements are granted to public utility companies that need to run pipes, wires, and other equipment under your land for water, electricity, and telephone lines. In the State of New York there are two different types of easements. The first, easements in gross are given to a particular individual or entity. Often in real estate law, easements in gross are said to be “for the benefit” of a particular individual or entity. Easements in gross are specific to that individual, and these easements cannot be assigned, transferred, or sold to anyone else. Generally, easements in gross were granted for hunting, fishing, and other recreational purposes. Obviously, population and building density in Long Island means these easements are far less common now, than in the past. Alternatively, an easement appurtenant is not to benefit a particular person or entity, but a piece of land. Therefore, this type of easement needs to be between two adjoining properties. One piece of property is called the dominant estate, the other the servient estate. The dominant estate is the property that is benefited by the easement, while the servient property is burdened. For example, if a property’s driveway is via another parcel of land, then the property with the driveway is the servient property, and the property using the driveway for access is the dominant property. Easements appurtenant are said to “run with the land,” this means when the dominant property is bought or sold, the easement remains in place. In Long Island this is true, even if the purchase and sale agreement or other transaction documents do not mention the easement. Historically, easements were intended to last indefinitely. Courts still read the grant of an easement to be forever, unless the easement document states differently. But it has become increasingly common for easements in Long Island, and throughout New York, to be for a conditional or limited purpose. For example, a construction company may request an easement while renovating a neighboring building or a utility company may request an easement for specific duration. As well, New York has recognized the need to allow transfer of certain easements in gross. The obvious situation is a utility company. The utility providers in Long Island are given easements in gross to run cables and pipes under and across private property. Under traditional New York law, if this company is bought or sold, the easement terminated. However, courts have allowed the transfer of commercial easements. Of course, there is a lot more to know and understand about easements in order to properly evaluate buying a specific piece of property or knowing if an easement is appurtenant or in gross. A knowledgeable real property attorney can best answers these questions. The Law Offices of Sami Perez regularly represent clients in real property transactions and transfers. In the course of these transactions easements are often at issue. As well, our lawyers frequently review agreements and public utility requests for easements on property in Long Island. To discuss your questions regarding easements, or other restrictions on real property, call the Law Offices of Sami Perez today at (631)-594-3077.